Welcome to Idaho. Here at the Group Real Estate, most of us are Idaho people, or those of us that aren’t, have married someone from here. There is something to be said about working in Idaho, being from Idaho, and falling in love with Idaho. Idaho has so much to offer. A state that covers about 84,000 sq ft, Idaho is dominated by the Rocky Mountains, a mountain range that runs from Canada’s border to the south central Idaho and along the Wyoming border. The most extensive valley surrounds the Snake River, which flows through Hells Canyon, the deepest gorge in North America. Idaho was first occupied by the Native American Indians, the region is known for being a part of the Lewis and Clark Expedition and Lewis and Clark stopped through in 1805. 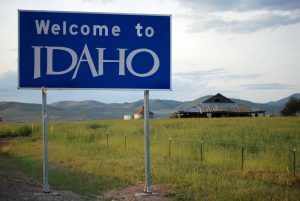 Discovery of Gold brought an influx of settlers in 1860 and it became the Idaho territory in 1863 and was admitted to the Union as the 43rd State in the United States in 1890. During the 20th Century, Idaho developed its agriculture and industry by promoting its natural wilderness. One of the reasons that a lot of people here love Idaho is the hunting. I, myself, am not a big hunter, but there are a few people here that I work with at the Group who love hunting. As we go into hunting season now, one of our realtors loves to go out and stay in the mountain. He was just telling us this the other day that he and his family have a spot up in the mountain where they go stay in the winter times in their tents, in their RVs, and by the campfires. They have food up there, and even talked about the notion in the past, that they have killed a deer, or two, hang it, and eat off the deer when they are there at the campsite. This is the extreme way of doing it, but also, if you are into that, you would love this idea and love the way it was described. One part of Idaho seasons is that they can shift quite drastically. The Summer to Fall change is pretty drastic, leading into our famous winters that we are known for over the last 50 years, or so. I have so many memories, growing up in the small town of Firth here and the snow coming down in droves. There were times we would go out to play in the snow, where the drifts were over our chicken coup, and would sweep across our entire backyard. This way we would go out, have full hills to sled on, have places to build snow forts and have some of the greatest snow ball fights. We have video footage of us playing on drifts that were up to the height of the middle of our house. 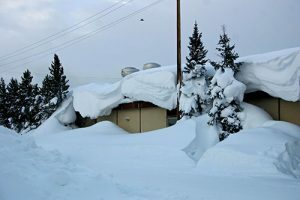 Over the past 10 years, there have been some pretty taming winters, with some snow here and there, cold, cold weather, etc. This last year, however, we had some feet of snow that my kids were finally able to play in. A couple feet of snow. Some fun times for the girls. Another thing about Idaho, is the smaller towns are great for living. The family life is wonderful here in Idaho. It is very low key, and a part of it is that we feel as though we are about 10 years in the past. But in a good way. There is a way of living here that is so humble, so wonderful and gives you the small town feel that you are looking for. As you look for cities to be in here in Idaho, Idaho Falls has been nationally ranked for the best cities to live in, in the nation. There is a very low crime rate, there is a wonderful family feel, and it is still growing. Do yourself a favor and come visit Idaho. Heck, come live here. There is still a lot of land. There are wonderful cities to live in here, great universities, and wonderful schools for your kids to go to. One of the great things is living here for your children. There are so many different areas to run wild, to be outside, riding motorbikes, bicycles, being on swing sets, and playing on trampolines. As I grew up in a small town, this was one of our many staples. We would do all we could to entertain ourselves, including horse back riding, riding bikes, and countless hours of basketball out on the concrete pad that dad put in, just to play ball on. There are so many wonderful things about Idaho. The beauty, the mountains, the seasonal changes, the places to live, and so on. If there was one place in the Western side of the Americas that I would tell you to make your home, it would be Idaho.